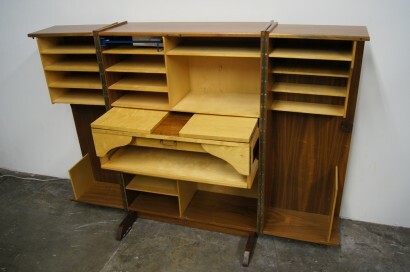 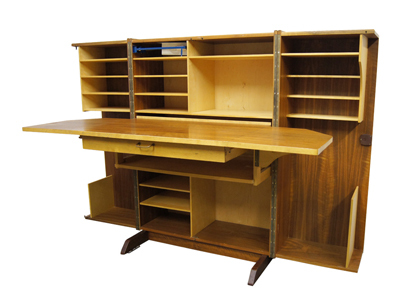 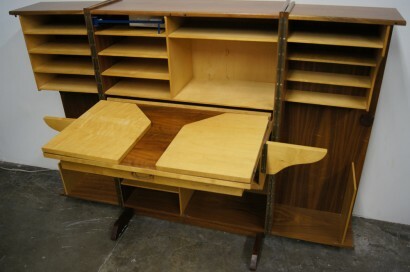 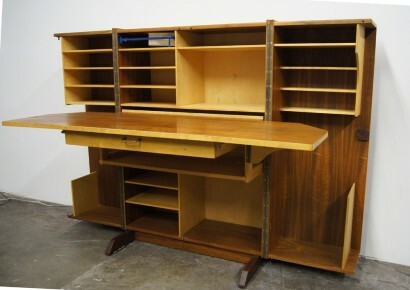 This desk by Mummenthaler and Meier opens to reveal numerous storage compartments, a large work area, and a light that turns on automatically. 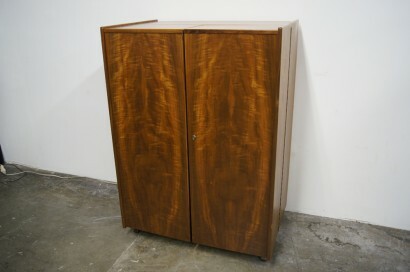 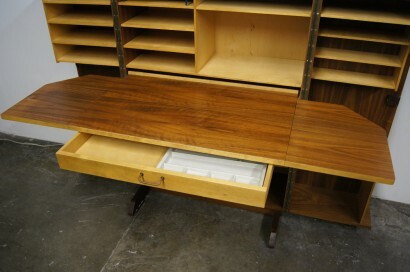 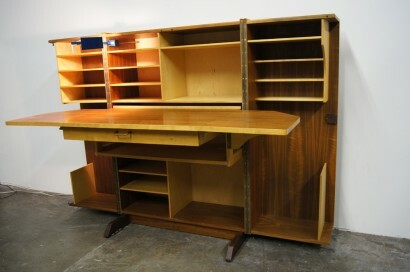 It closes to become a large cabinet with beautiful walnut veneer. 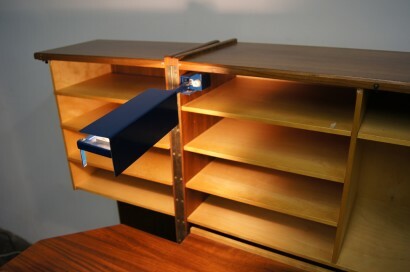 Measurements reflect desk when closed.